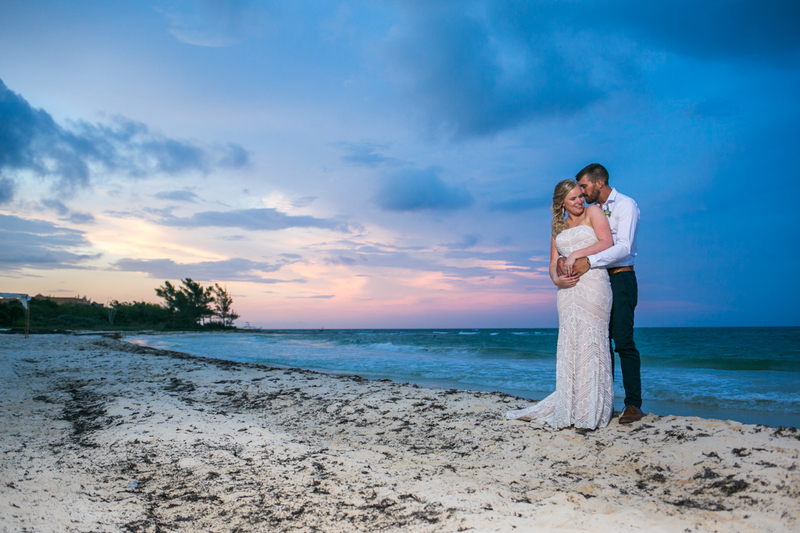 Emily and Clay are Fun In the Sun Weddings’ newest newlyweds! 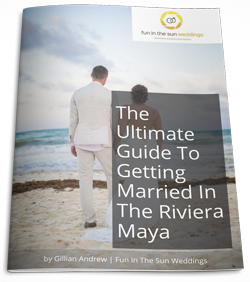 With their families scattered across Canada and Australia, this bride and groom decided that a destination wedding in Playa del Carmen, Mexico was a fair and fun meeting location for their wedding on the beach. Clay is Canadian and Emily is Australian. The fates conspired to bring them together when Clay’s family moved to Australia. They were introduced by a mutual friend in University, and for Clay, it was love at first sight! Emily, however, was a little slower to come around. So Clay was patient. He happily remained close friends with Emily for 3 years before they finally moved out of the ‘Friend-Zone’. And once he had captured her heart, he wasted no time in sealing the deal for life. He bought a diamond that year and held onto it for as long as he could stand to, finally proposing on a walk with Emily through Kings Park in Perth, Australia. 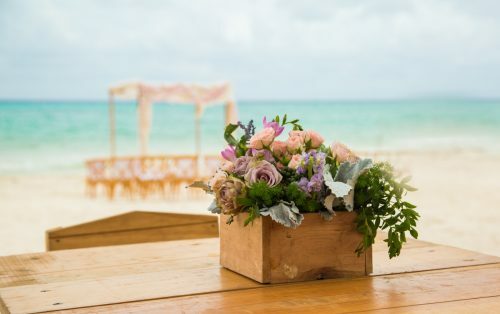 Planning a destination wedding from so far away was a daunting task, so Emily made the smart decision and sought out local wedding planner and visionary Kristee Smith of Fresa Weddings to bring her vision of a ‘Boho Beach’ wedding to life at the Grand Coral Beach Club in Playa del Carmen. The boho bride wanted loads of wooden and natural elements, lace, macrame, and soft pops of pink and purple. Emily really wanted succulents as a large part of her florals and it was floral design queen Vanessa Jaimes who WOW-ed us once again with her stunning creations. 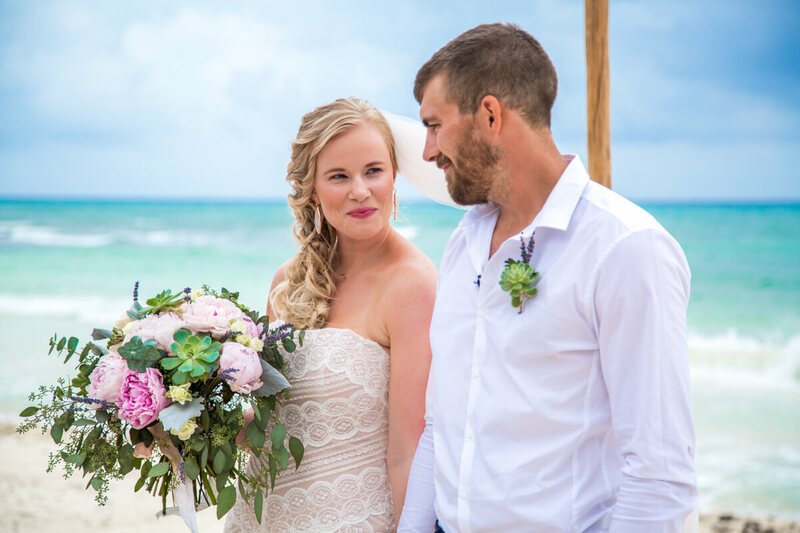 The bride was breathtaking in a crotchet bohemian style beach wedding dress, and she was perfectly polished thanks to the hair and makeup magicians at Beso Brides. The end result far exceeded their expectations, and the night was better than they could have imagined. 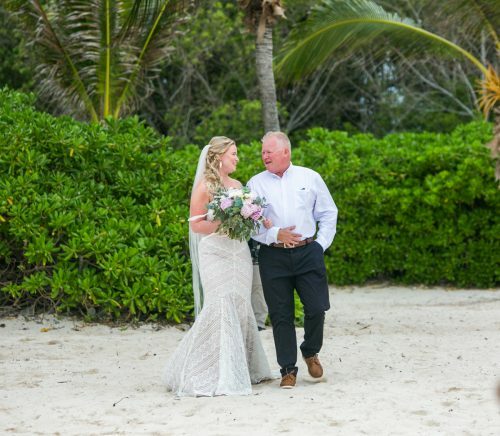 The bride’s favorite moment was when she and her new husband snuck off down the beach to watch the festivities at The Grand Coral Beach Club and take it all in from afar. Emily’s advice for the bride-to-be? 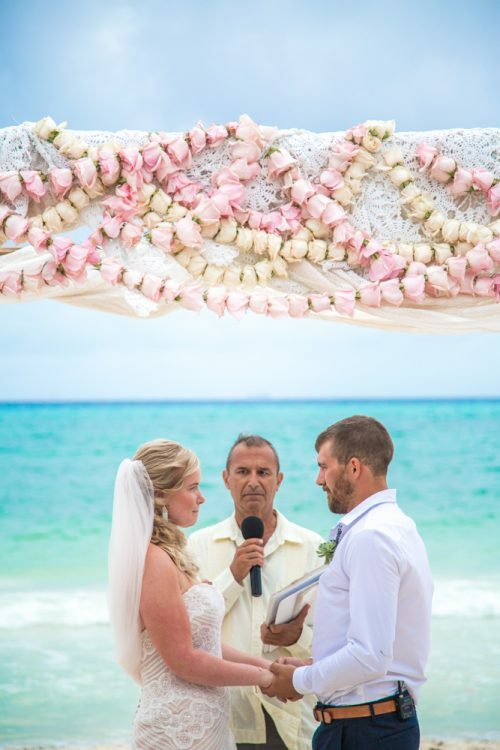 If you can, use a wedding planner! I can’t imagine planning a wedding without the help of someone! 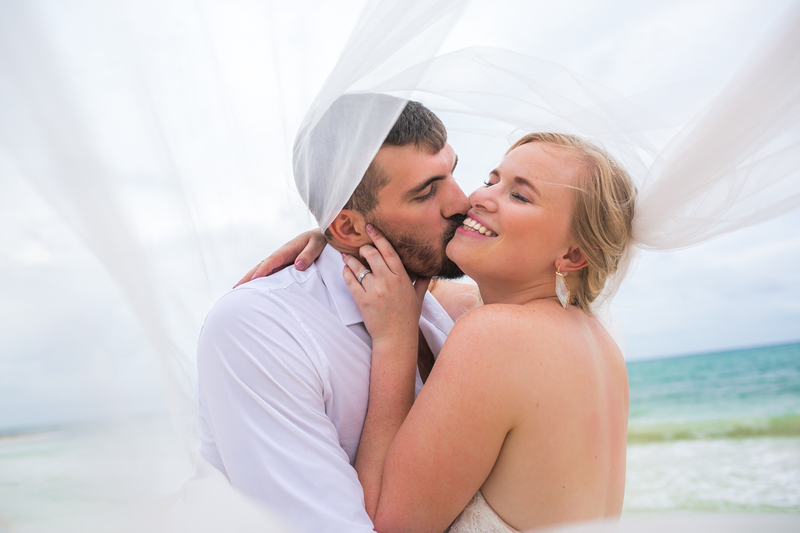 Emily and Clay, thank you so much for sharing your Happily-Ever-After with us. We wish you all the best things in life in this new chapter together, Congratulations! 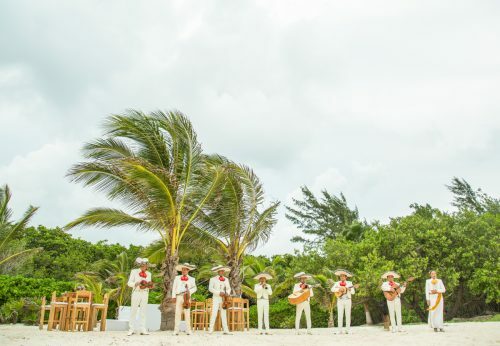 And if you are getting married on the beach in the Riviera Maya and are searching for the best Playa del Carmen wedding photographers then contact us today! 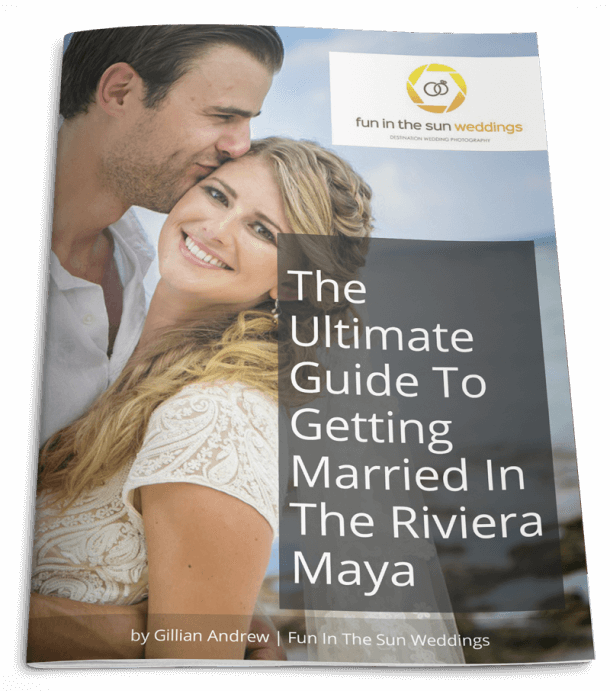 We are Fun In The Sun Weddings, the best wedding photographers in Playa del Carmen, Mexico. We couldn't be happier with the photographs we have received. Marc was so amazing to work with, he had everyone smiling and laughing and is so comfortable to be around! All of our guests were commenting on how fun he was!